Anything with shrimp is a great reminder that it’s summer. 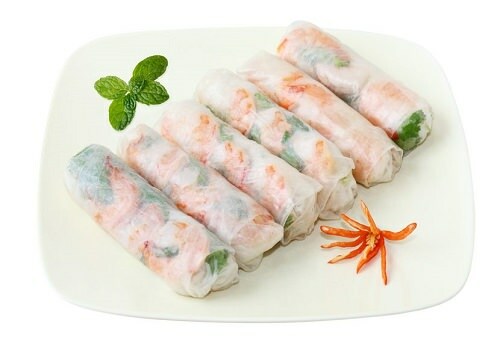 Shrimp rolls start out like many other roll recipes – with rice paper. You wet rice paper in lukewarm water for a half minute until it softens, lay it on a board, put in the stuffing and roll the individual pieces up. For the shrimp filling, add unpeeled shrimp to boiling water in a saucepan and season with salt, vinegar, sugar and pepper. Shrimp rolls go well with a variety of sauces.